This article is for the small business owners that are just starting with social media marketing. Maybe you've been ignoring SMM up to this point. Maybe you're just setting up your business. In any case, you don't have much time on your hands to play around with Twitter and you don't even want to know what Vine is. But a social media strategy is on your to-do list. Keeping this in mind, I'll do my best to keep this article concise and informative to the maximum. By the end, you should have a clear idea of how to start with SMM and what to keep doing. 1. Set up your social media accounts. In most cases, it makes sense to have an account on Facebook (because everyone is on Facebook), Twitter (because it's widely used for customer service) and LinkedIn (for business relationships and headhunting). Others are optional. If your product is attractive and photogenic, consider Instagram and Pinterest. Choose Instagram if your TA consists of teens and young adults, and Pinterest - if it's female and middle-aged. If you can make a series of videos related to your product that are either educational or entertaining, consider YouTube. Complete the information about your brand and URLs on every social media profile. Include links to your website. Your bios and brand descriptions should be recognisable and consistent across profiles. 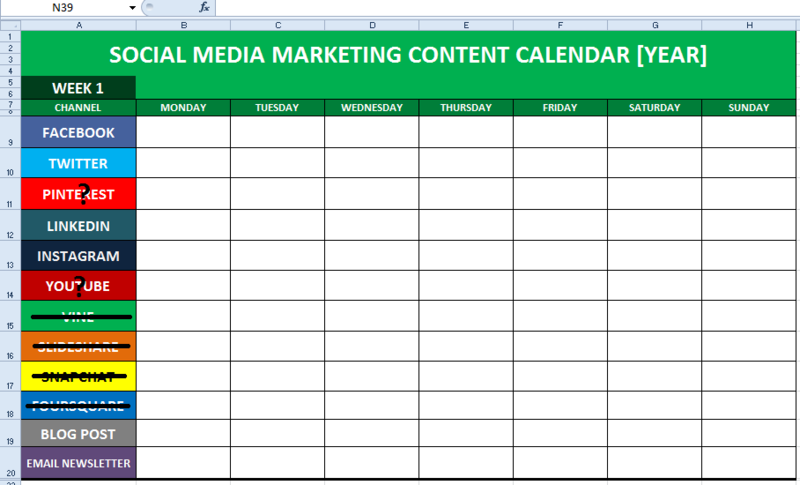 Create an Excel (or any other) document and make a list of all your social media profiles. 2. Set up your customer service. The most important thing on social media is customer service. Due to being public, successful customer service ends up promoting the brand and working towards brand exposure as well. Your brand should be easily contacted via social channels and there should be someone on your end to reply to all questions, complaints and comments. While the least you could do is check notifications on all of your social media channels and reply to them, it's better to go a bit further than that. 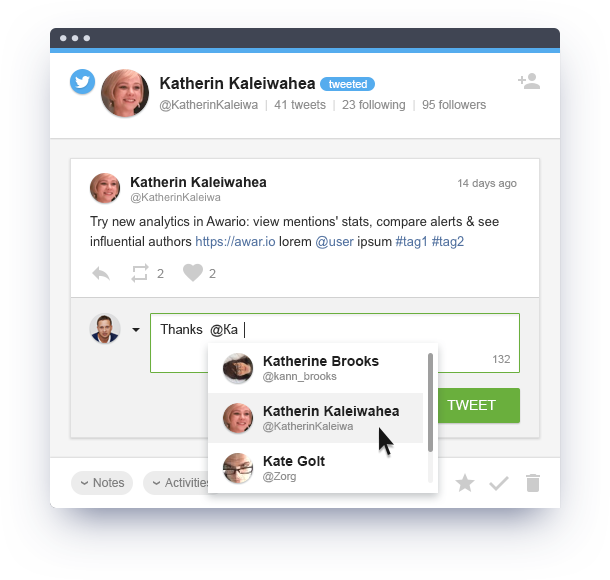 Set up a social media monitoring tool to collect all mentions of your brand for you from all social channels (even the ones you're not in), blogs, forums, reviews, etcetera. This will cover messages without the handle directed to you and mentions of your brands undirected to you (e.g., when someone just complains pointlessly to their friends about it). You could then react to them and save your reputation, promote your brand, and so on. If you want to go even further than that, monitor the brand names of your direct competitors as well. This will give you the opportunities for social selling (e.g., offering your brand when someone complains about your competitor) and for market research. Now that you have social media pages, it makes sense to use them for building a community. If people search for your page for some information that they are interested in, they'll also see when you have sales, promotions, product releases and so on - and they are more likely to buy your product. That's in addition to the usual purchase funnel. So your goal is to make your social media page as attractive to your relevant customers as possible. Now as with YouTube, you can post either informative or entertaining information. Preferably a mix of both. It takes loads of resources to create your own content, so if yours are limited - don't bother. Luckily, there's content curation: there's no shame in collecting existing content that is relevant to your brand, product and industry and posting useful articles on social media pages, together with the information about your products, FAQs and promotions. If you can't delegate this process, dedicate a day to create a content plan for a month. If you're a business owner, you probably know a lot about your business ( I hope you do, at least). That means you know what resources provide valuable information and you can re-direct your readers to these resources. As an expert, you can also tell a useful thing or two to your followers once in a while. Gather all you know (maybe, dedicate more than a day to it) and schedule your posts so that one gets posted every day on Facebook and Twitter without your involvement. You can use a scheduling tool like Buffer for that. Remember that engagement is still key at this stage of social media marketing. Reply to comments on your posts and keep up the discussing whenever you can. To be fair, that's a misleading title. I just know you want to find out how social media managers do that one. Unfortunately, there are no quick and free fixes. You can buy followers, but then they'll only act as some kind of social proof and will, of course, never turn into leads and buy anything from you. You can start with paid targeted advertising - this is much more likely to bring you followers that are also interested in your product and likely to buy from you. All other tactics require loads of time and effort - if you want to know about them, jump to this post. This is one of the most common metrics for brands to track. It's not super-informative: your followers have to be potentially interested in your product to count. However, it tells you the approximate number of people that see your updates, and that's good to know. Level of engagement is another common metrics for brands to measure. As with followers, it doesn't mean much on its own - people often "like" and share without reading, and read things they don't "like" or share. However, engagement metrics on its own shows you the size of exposure, and the growth of brand awareness, and combined with page views - the interest in your content. If one of your goals is driving traffic back to your website, that's the metric you need to measure.